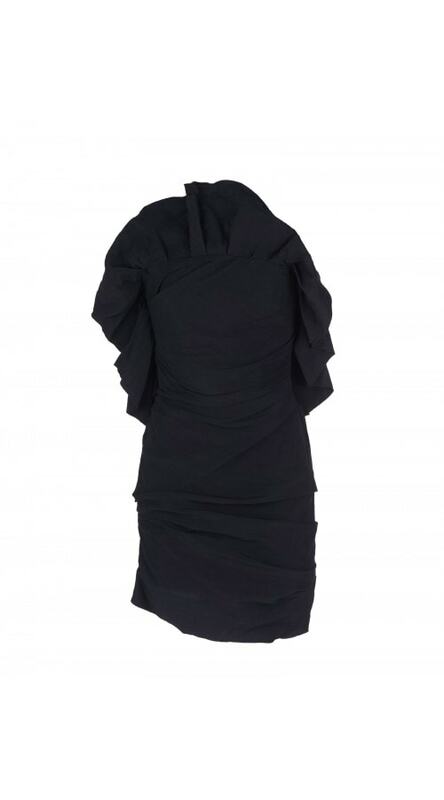 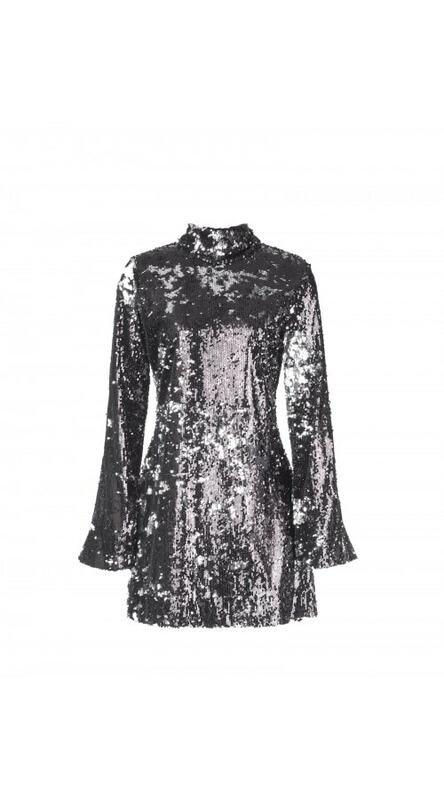 This statement mini dress presents an asymmetrical ruffle layered skirt in lustrous black chiffon for sculpted volume. 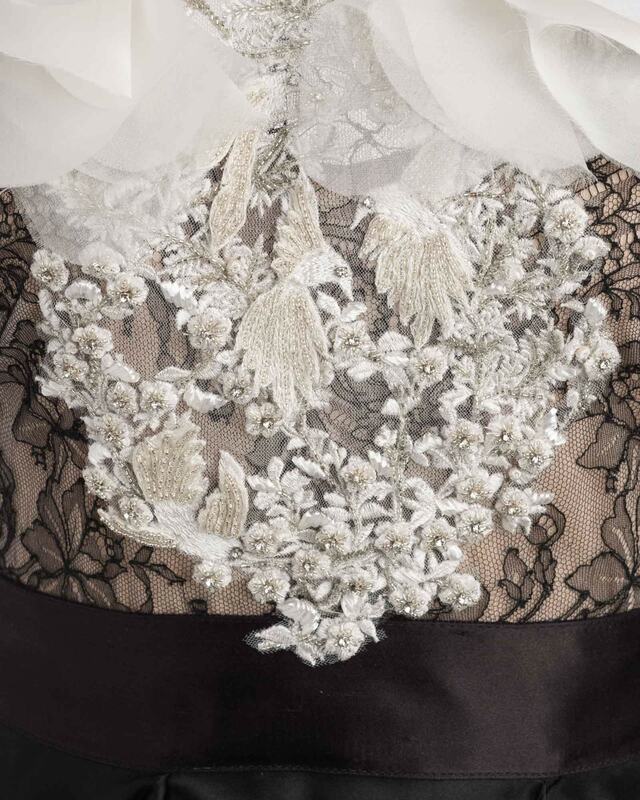 The bodice is fitted and features black and white lace embroidery over delicate tulle. 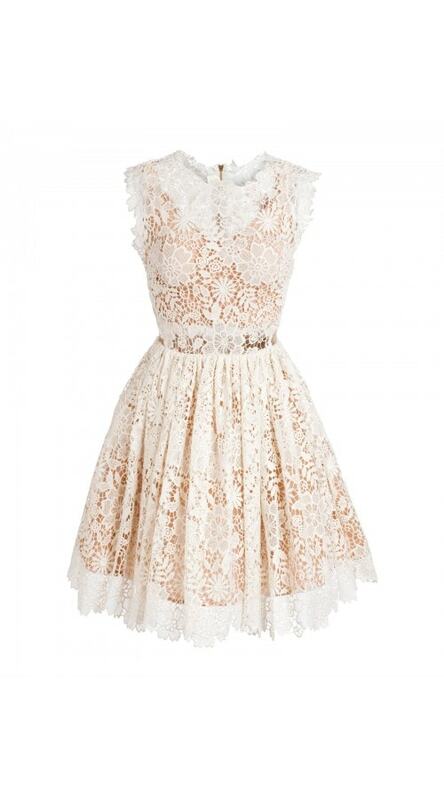 White embroidered appliques, beads, and petals adorn the high neckline.